1. 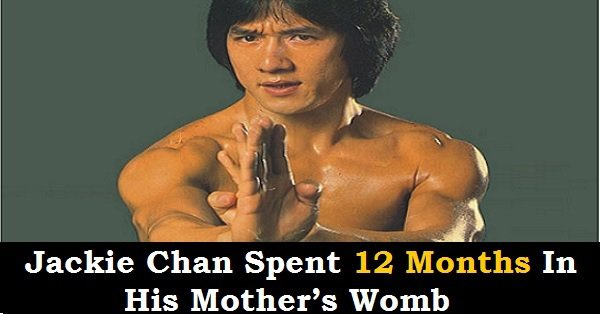 Jackie Chan spent 12 months in his mother’s womb. 2. His parents left him when he was a child. 3. Jackie Chan has released more than 20 albums in over five languages as the lead vocalist. 4. He has a permanent plastic plug in his skull due to an accident that he survived. 5. One of his young and female fans killed herself after discovering that Chan was married. 6. He has worked as a stunt coordinator with Bruce Lee. 8. He is afraid of needles and public speaking. 9. Jackie Chan love pandas. 10. His son will not inherit his $130 million fortune and it will go for donation as according to him his son is capable enough to make his own money.